Woman stabs child to death, says she is in heaven – Royal Times of Nigeria. 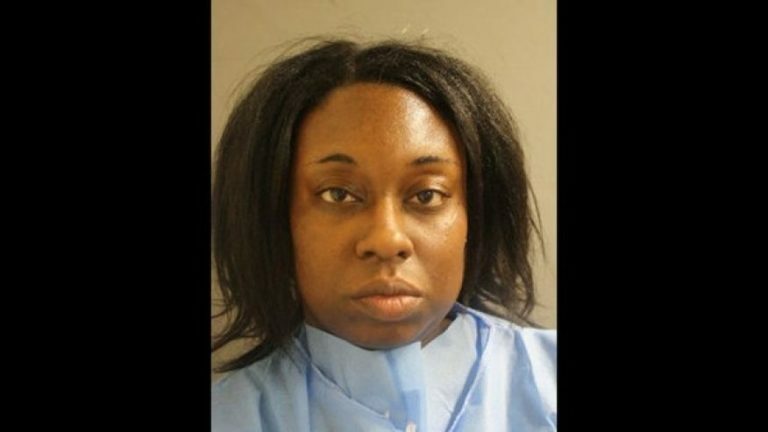 A Houston woman Laquita Lewis has appeared in court on a capital murder charge for stabbing her young daughter to death. The 34-year-old Lauita who is being held without bail was arrested after texting her boyfriend saying the girl was dead and in heaven. Deputies say 4-year-old Fredricka Allen had been stabbed multiple times in the chest. She was found dead Sunday. “It’s a very horrific type scene, senior Harris County Deputy Sheriff Thomas Gilliland told Fox 26 Houston. After the stabbing Lewis bolted from the apartment and got into a crash on I-10, deputies said. While at the hospital, she texted her boyfriend and an aunt. Prosecutors said she told them she killed Fredricka, the Houston Chronicle reported. “The defendant told the father that their daughter was no longer alive and was in heaven,” the paper quoted prosecutors as saying in court. The boyfriend called 911. Deputies then went to the apartment. Gilliland told the paper it wasn’t clear why Lewis would want to kill her daughter. He said she had gotten into a fight with the boyfriend earlier Sunday. The Chronicle reported that Lewis had been accused of threatening to kill a man she divorced in 2012. She pleaded guilty to a misdemeanour and was sentenced to probation which she was still serving.